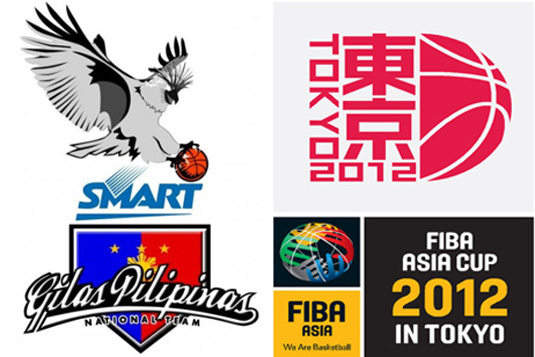 This September 15, 2012 held still at Ota Gymnasium in Tokyo, Japan, the second game match of Smart Gilas Pilipinas in FIBA Asia Cup 2012 against team Lebanon. The match had been a tough one for our very own Philippine team because the opponent was the team who have defeated them from the recently finished game event, William Jones Cup 2012. Today, as they face each other on the hard court, Gilas 2.0 made sure that they'll be giving all it takes to win this day's game match. On the first quarter, Gilas manage to get close on Lebanon's score by just 1 point difference. But on the second quarter, Lebanon's aggresive moves made their lead on the game bigger by three points. However, our team Smart Gilas Pilipinas reversed the situation and took a 6 points lead against their opponent. As the heat goes up till the last quarter of the game, Smart Gilas gave team Lebanon a lossing point of 10. Smart Gilas Pilipinas manage to make their rank on the FIBA Asia Cup 2012 goes up after winning this day's match against team Lebanon with a score of 78 - 68 (win-loss). The two teams are now even in their game standing. Tomorrow, September 16, 2012 Philippine team is set to face team Uzbekistan for their third (3rd) match on this years FIBA Asia Cup. They'll be facing each other at around 2:00 pm in the afternoon. Many are expecting that their next game will be another win for our country. So let us all continue to support our very own team in this event, post this great news on your Facebook wall, tweet it on your Twitter feed, pin it on Pinterest and Google+. Comments or suggestions about "Smart Gilas Pilipinas wins against Lebanon by 10 points - September 15" is important to us, you may share it by using the comment box below.